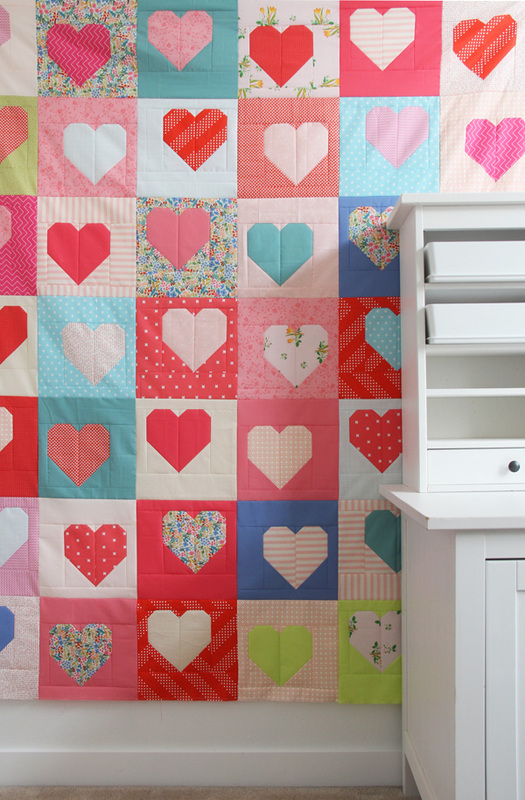 Thank you for taking the time to finish writing and offering this Box of Hearts Quilt! 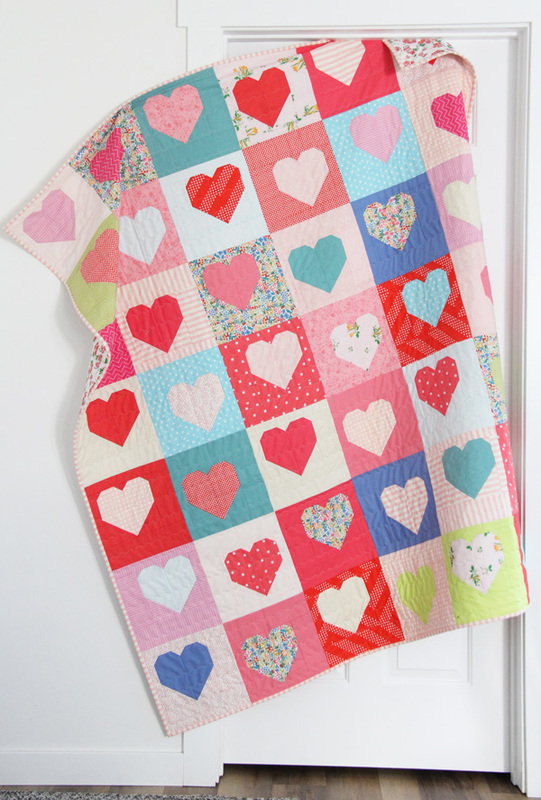 Love how it comes together – and the possibilities of using up some of my left over fabric pieces. Heart blocks never get old :)!! 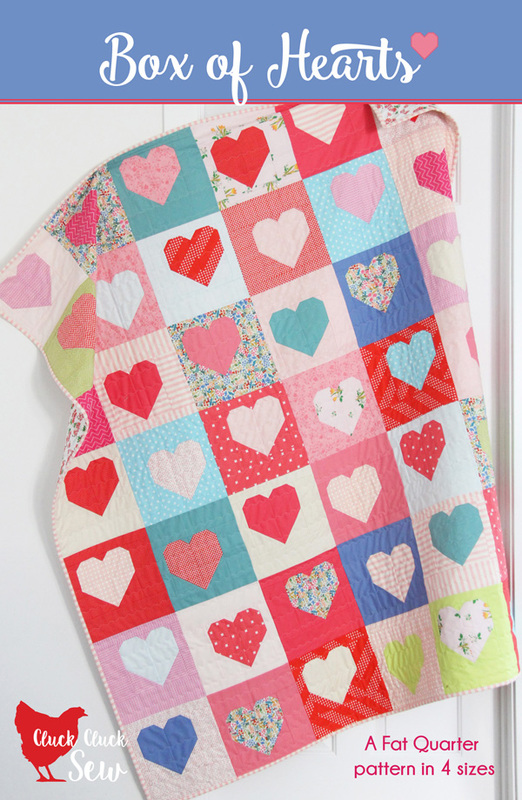 Yes that is a great thought for this quilt!! I love it. It’s very pretty. Actually, my granddaughter will too. Just bought the pattern and I’ m another who is not a fan of sashing. So thank you for this pattern without it. I’m glad you are a fellow sashing hater. 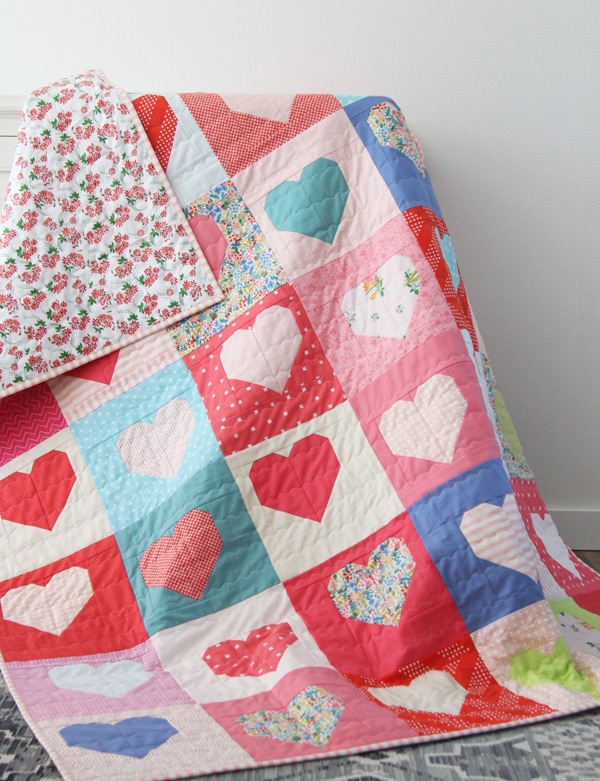 ;) For how much I use sashing in my quilts…I sure do hate sewing it! Love the off set hearts with no sashing. Great for scraps and FQ’s. 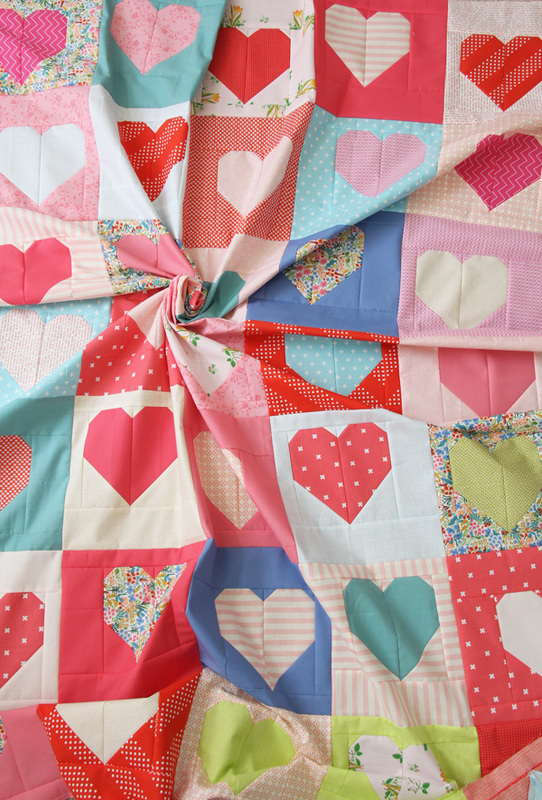 This is really a happy and cute quilt. Thank you dear Allison for sharing this. Now I want to make one stat! I like your finished product and the fact you used fabric from your stash. It is something I want to do more. I love patterns like this where the sashing is built right into the block. And having the hearts offset. Me too…I hate sewing sashings! Love the staggered setting — very clever!